Join us on Nov. 3rd for an eventful day! 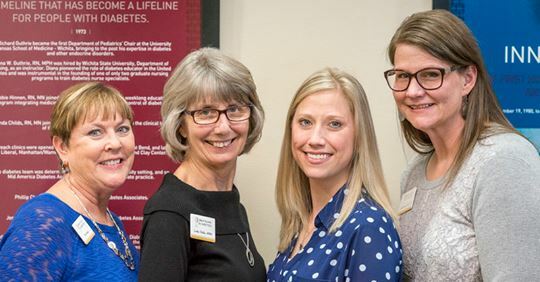 The mission of Great Plains Diabetes is to provide innovative care and resources for our communities, families, and individuals affected by diabetes. Great Plains Diabetes opened on Sept. 9, 2014, to provide diabetes care and education in Wichita and surrounding communities. Belinda Childs, APRN and Julie Dvorak, RN, CDE are leading the clinical and education programs for children and adults with diabetes. Dr. Richard Guthrie will be the collaborating physician to provide his expertise and will regularly visit the office but not schedule patient appointments. Amanda Ast, APRN, NP-C joined our practice in the winter of 2018. We are delighted to be growing and continuing on the legacy of the Guthrie’s.